Toyota Motor Corporation has reported net profit for the six months ended September 30, 2003 up 23.2% year on year to 524.4 billion yen. Net revenue was up 8% to 8.2 trillion yen and operating income increased 12.1% to 767.7 billion yen, while income before income taxes, minority interest and equity in earnings of affiliated companies was 812.0 billion yen. Toyota claimed all figures represent new records and said net income per share was 153.36 yen, an increase of 34.92 yen compared with a year ago. On an unconsolidated basis, net sales reached 4.3 trillion yen, an increase of 2.3% compared with last year. Operating income decreased 2.6% to 459.1 billion yen, while ordinary income was 510.5 billion yen, up 6.0%. Net income totalled 338.0 billion yen, a decrease of 11.6%. TMC also announced a first-half cash dividend of twenty yen for the six months ended September 30, 2003, an increase of four yen compared with the same period last year. TMC executive vice president Ryuji Araki said, "While major markets have been experiencing limited growth in recent years, Toyota's vehicle sales have seen a continued annual growth of four hundred thousand units. Even during the current [half year] period, overseas retail vehicle sales grew significantly in all regions." TMC's Japanese market share (excluding minivehicles) for the six months ended September 30, 2003 was 42.5%, a 0.4% increase over same period last year. Vehicle sales increased by 57,000 units, to 1.08 million vehicles, supported by the introduction of new products such as the Raum and Wish. In North America, consolidated wholesale vehicle sales remained at last year's first-half levels. 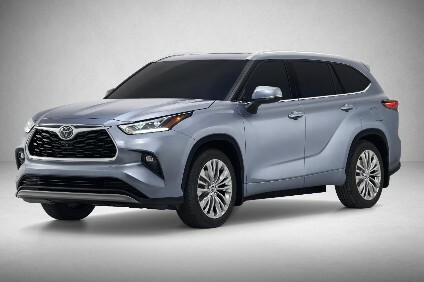 At the same time, favourable retail sales of vehicles such as the Corolla sedan and the new Lexus GX470 and RX330 helped the company achieve first-half sales of more than one million vehicles in the US for the first time. Sales of Scion vehicles, which were launched in June, also continue to be favourable, the company said. As a result, market share rose to 11.3% and TMC hopes to achieve its annual sales target of two million vehicles in North America during this fiscal year. In Europe, sales continued to grow despite a slump in the overall market, aided by the new Avensis. Consolidated sales in Europe were 441,000 vehicles, an increase of 12.5% over the same period last year. TMC expects that its annual sales target of 800,000 vehicles will be achieved this term. Consolidated global sales reached 3.17 million vehicles in the first half, an increase of 219,000 vehicles, or 7.4%. 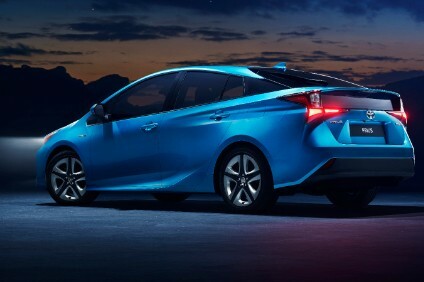 For the fiscal year ending March 31, 2004 Toyota is forecasting net sales of 8.7 trillion yen, ordinary income of 800 billion yen and net income of 510 billion yen and has increased its consolidated vehicle sales forecast by 160,000 to 6.57 million vehicles. Araki said: "Even if the exchange rate remained at current levels in the second half, we hope to offset the impact by enhancing our cost reduction and marketing efforts to increase profits. We intend to make every effort to exceed last year's record consolidated operating profits."